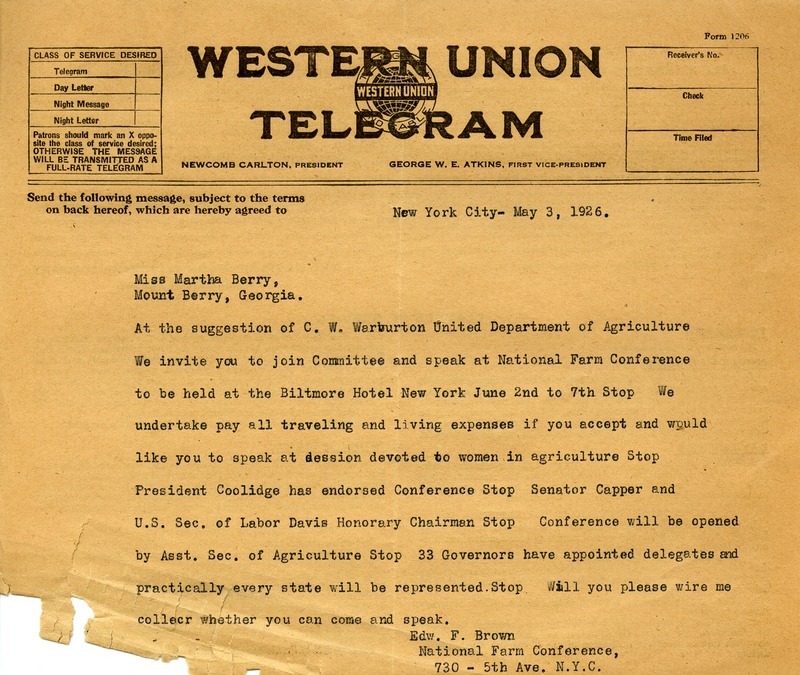 Mr. Brown writes to ask Miss Berry if she will speak at the National Farm Conference at the session devoted to women in agriculture. 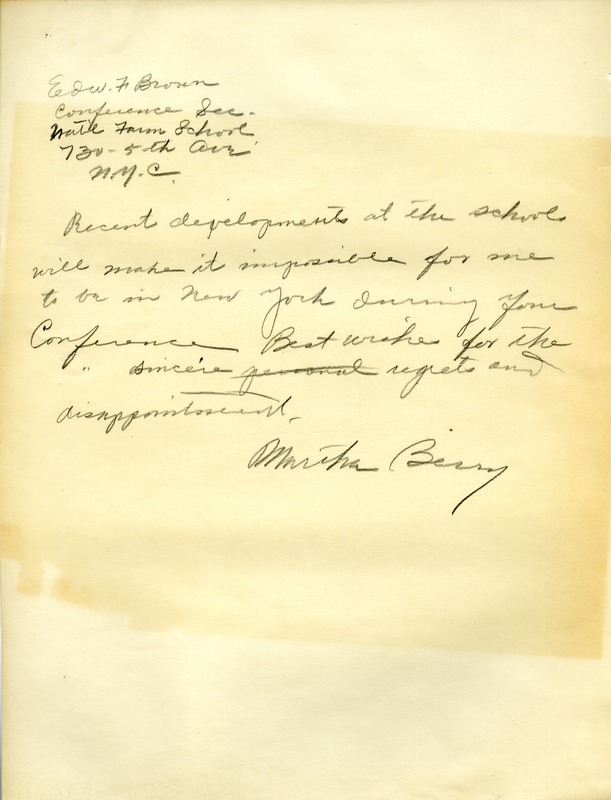 Mr. Edward F. Brown, “Telegram to Martha Berry from Edward F. Brown.” Martha Berry Digital Archive. Eds. 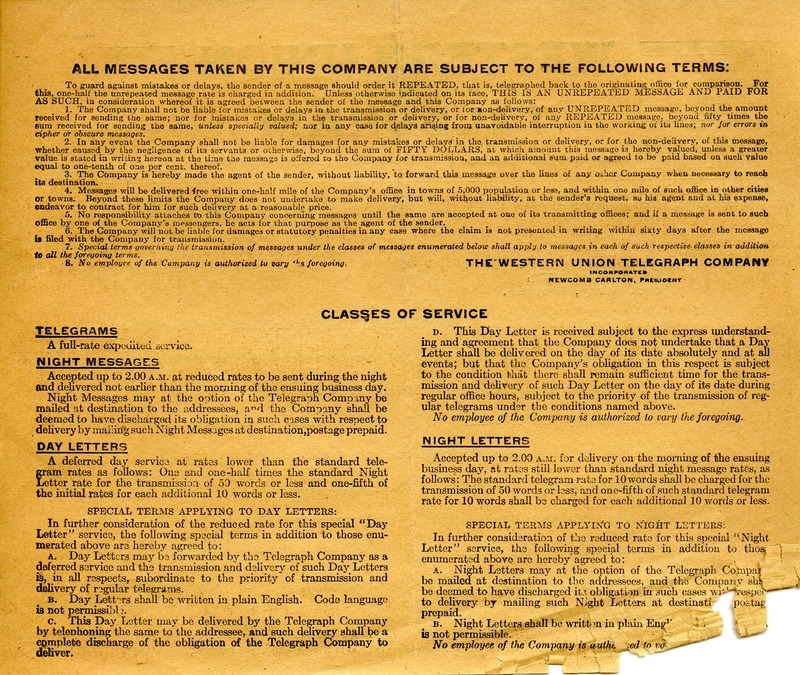 Schlitz, Stephanie A., Chelsea Risley, et al. Mount Berry: Berry College, 2012. accessed April 25, 2019, https://mbda.berry.edu/items/show/2640.